I am having trouble with a board I have had fabricated. 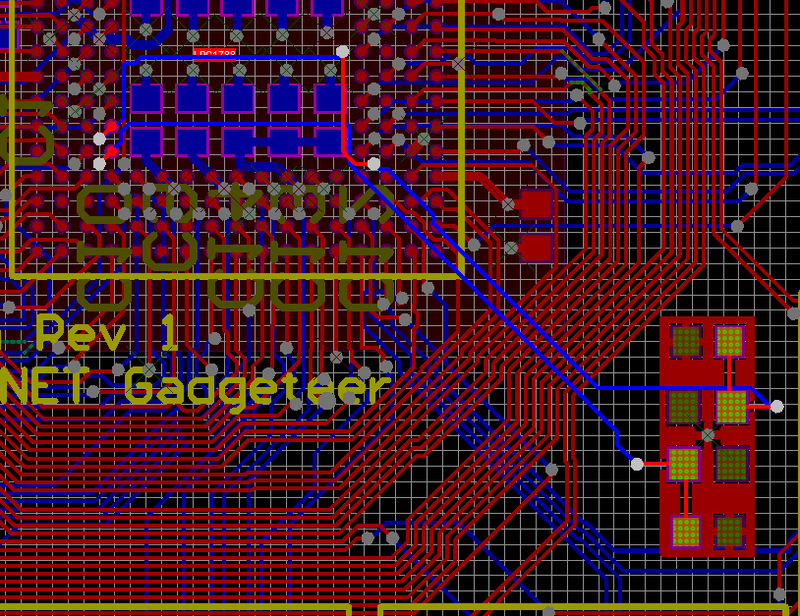 The processor is an NXP LPC1788 Cortex-M3. I am using a 12 MHz external crystal to clock the processor as recommended in the datasheet. For some reason I cannot get the crystal to oscillate. 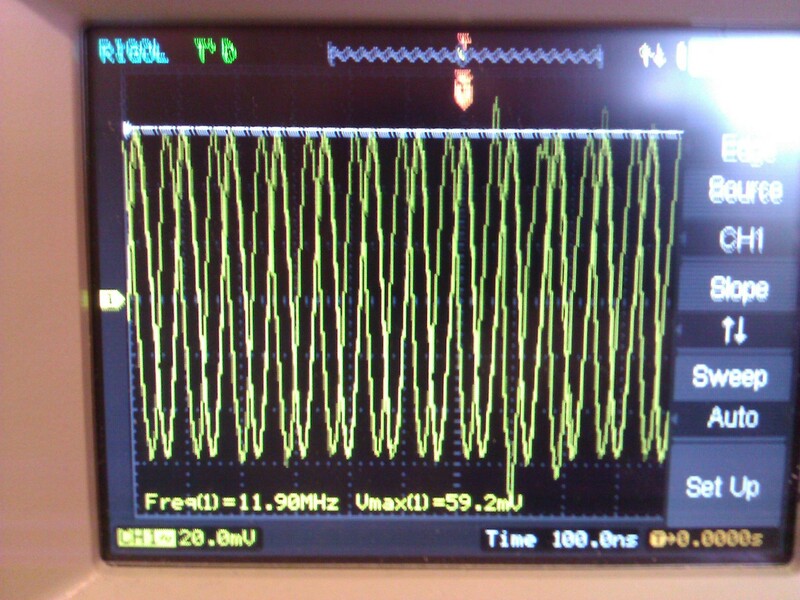 I'm unsure if I am checking it correctly on my scope, but I cannot see any consistent oscillation. Here is the datasheet for the crystal: http://www.txccrystal.com/images/pdf/8z.pdf. It has a load capacitance of 18 pF, the LPC1788 datasheet recommends external load capacitors of 39 pF with a crystal of load capacitance of 20 pF, so I have tried 39 pF load capacitors with no joy. I have also tried 18 pF load capacitors as recommended by LPC1788 datasheet for crystals with approximately 10 pF load capacitance. I would really like to at least understand why the crystal is failing to oscillate before I do another run of the board, as it is quite expensive (four-layer board). Here is an image of the crystal routing. I am looking pretty silly now... the footprint (I created, unfortunately) of the crystal was incorrectly pinned, and so I've rotated the crystal 90 degrees and put the 39pF caps back on and its now correctly oscillating. I should have checked this before bothering you guys! Sorry for wasting anyones time! Not the answer you're looking for? Browse other questions tagged oscillator crystal routing or ask your own question.